PDF files are great for exchanging formatted files across platforms and between folks who don't use the same software. But sometimes we need to be able to take images or text out of a PDF file and use it in Web pages, word processing documents, PowerPoint presentations, or in desktop publishing software. Depending on your needs and the security options set in the individual PDF there are several ways to do this with the help of PDF Converter for Windows 8.1. Images and text can be extracted from virtually all PDF files while keeping the image layout and text formatting unchanged. Copy PDF page as searchable text or image. Adobe PDF files can be converted into Microsoft Word document, Rich Text Format (RTF) Document, Plain Text file, Web pages with images(HTM, HTML), and pure images with layers. Output image and text can be compressed and optimized for size. PDF can be batch converted into other file types with the help of multi-threading conversion. Raster images can be extracted to a specific height, width, color depth, and file format of your preferences. High-resolution pictures and press-ready graphics can be extracted from PDF document with color profile included.. Restore sensitive metadata, hidden layers, and other secure information if any. Specify the page range and skip list to convert the PDF pages of your choice. Convert odd or even pages with a click. You can opt to unlock encrypted PDF files by password or skip the password to continue to the conversion process. 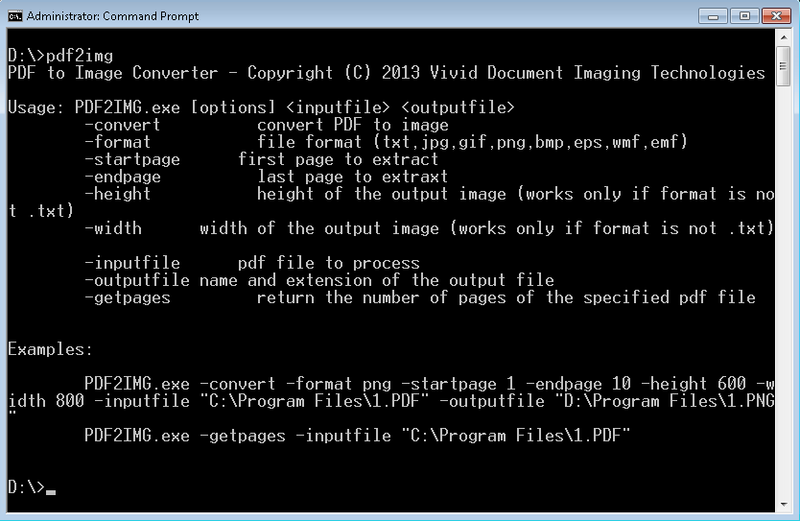 Convert PDF document to Plain Text File (TXT), Web pages with Images (HTML), Windows Bitmap (BMP), Portable Network Graphics (PNG), JPEG Format (JPG), GIF Format (GIF), Encapsulated PostScript (EPS), Windows Meta File (WMF), Enhanced Meta File (EMF), Tagged Image File Format (TIFF), G4 TIFF (TIFF), and HTML5 (HTM). You can define the resolution of the output images by Dot Per Inch (DPI), Zoom Level, or by height and width in pixel. Maximum DPI and Zoom Level supported in this version are 720 and 1000% separately. PDF files can be upgraded or downgraded among PDF version 1.0 (Adobe Acrobat 1.x), 1.1 (Adobe Acrobat 2.x), 1.2 (Adobe Acrobat 3.x), 1.3 (Adobe Acrobat 4.x), 1.4 (Adobe Acrobat 5.x), 1.5 (Adobe Acrobat 6.x), 1.6 (Adobe Acrobat 7.x), 1.7 (Adobe Acrobat 8,x, 9.x, 10.x, ISO 32000 Standard), and 2.0 (ISO 32000-2). You are free to use your own naming convention for the output file names while converting a folder or directory of PDF files into other file formats in batch. You can purchase the command-line version of the PDF Converter program to convert PDF to TXT, HTM, HTML5, BMP, PNG, JPG, TIFF, GIF, EPS, WMF, and EMF. All products support Microsoft Windows 8 and Windows 8.1 64-bit (x64) and 32-bit (x86), and are backward compatible with Microsoft Windows 7, Vista, Windows XP, Windows 2000, Windows Server 2003, Windows Server 2008, and Windows Server 2012.